India has always been a destination that has allowed rich fauna and flora to grow and prosper. There is no dearth of amazing nature reserves, wildlife sanctuaries, national parks and many more areas that have been earmarked to protect and conserve wildlife. Adventure enthusiasts, wildlife lovers and nature lovers enjoy visiting these places and they appreciate the God' beauty on the planet Earth been manifested in these lovely creatures. These days, the number of tourists visiting these areas for wildlife expeditions is growing at an exponential rate. Although there are many awe inspiring places that must be visited by nature lovers, one of them, which is gaining a lot of interest among them is Valley Of Flower National Park Trek. Located in Uttrakhand, enveloped by Tibet and Nepal, this Himalayan Valley showcases amazing varieties of beautiful and attractive Alpine flowers. It seems as if a vibrant colored carpet of flowers has been laid across the entire area. Another popular National Park, located in the state of Uttrakhand is Govind Pashu Vihar and National Park Trek that came into existence to protect the endangered species of Snow Leopards. The park is nestled amidst Garhwal Himalayan ranges. Many other rare wildlife species can be seen here. Trekkers love to visit Gangotri National Park Trek, known for its adventurous, but at the same time, picturesque route, spanning across the Himalayan region. 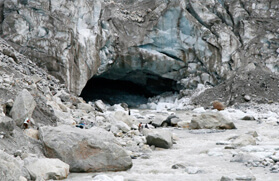 Trekkers enjoy the stunning views of the famous Gangotri glacier, while at the same time enjoying nature's beauty at its best. 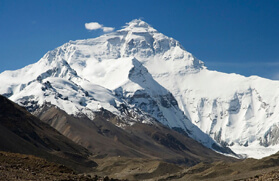 This national park is located close to the Chribasa Village in the Uttrakashi District at an altitude of 10, 000 feet. While enjoying the grandeur of the majestic Himalayas, avid trekkers also love to include Nanda Devi Sanctuary trek, known for beautiful scenery unfolding in front of the eyes. The trek is replete with rhododendron flowers, which can be seen after scaling certain height. People who enjoy a fine dose of excitement mixed with pleasure should definitely go on this trek. Another trekking option for the fun lovers is Pin Valley National Park trek that is located close to the Spiti river, that flows out from the gigantic Himalayan range. The entire trekking route is simply amazing and offers a variety of panoramic views to be enjoyed. The scenic views keep on changing as one moves along. 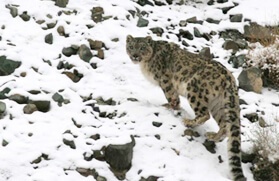 People looking forward to spot the majestic Snow Leopard can plan a trekking visit at Hemis National Park trek, located in Ladakh Area. Though, this park lies in a protected forest area, it is open for the trekkers. Ibex sightings are common in this national park. If looking forward to enjoy some rare vegetation and trees, visiting Singalila National Park trek is a great idea as here one can enjoy looking at the Hemlock, Oak, Juniper Silver Fir and many more. The entire area offers mesmerizing sights to behold and enjoy. A trip to Varsey Rhododendron Sanctuary is just like a trip to a heavenly paradise. This speckled backdrop in the state of Sikkim offers stunning sights to be enjoyed by the visitors. 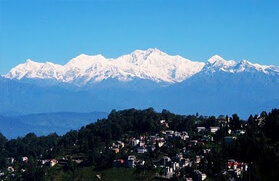 Other treks that are equally known for their amazing attractions are Kanchenjunga National Park Trek and Singba Rhododendron Sanctuary Trek that offers an eclectic blend of flora, fauna and nature's jewels. India is truly a magnificent country, having been blessed with such beautiful attractions.